The Spain Residency Programme offers a pathway to permanent residency and citizenship. The Spanish Residency Programme was launched in September 2013 through the Law 14/2013, enabling non-EU citizens to apply for a resident permit through different types of investments. The programme introduced the option of temporary family residency in an effort to attract investors to the country and further consolidate the Spanish economy. Spain enjoys a high standard of living, mild Mediterranean climate, growing economy, and European quality standards for health, education and security, making it an excellent option for relocation whether it be for family or business. The Spanish residency programme offers a swift process involving only up to 20 days of processing time and incurring minimal government fees. From the initial preparation stage to the issuing of the Golden Visa, the process is estimated to take around three months. 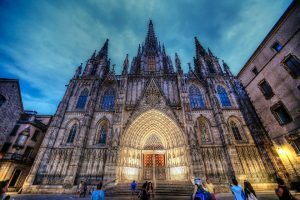 The temporary residency permit is granted indefinitely and can be renewed upon a single visit to Spain every year, as long as the investment is maintained. Acquiring and retaining the permit does not require an investor to reside in Spain, making the programme a highly versatile option for acquiring temporary residency. It is also possible to apply for permanent residency after five years, as well as citizenship after a period of ten years, subject to requirements. One of the highlights of attaining Spanish residency is benefitting from visa-free travel within the Schengen area. Upon acquiring Spanish citizenship, a Spanish passport would then provide a total of 178 world-wide visa-free travel destinations. New Spanish citizens would also have the enhanced option of living, studying, and working in any country within the EU. Spanish authorities exempt foreigners from paying tax in Spain on their worldwide income unless they qualify as tax residents. Should an applicant wish to go ahead with the property investment option for the Spain residency programme, there is also good potential for a regular income from their investment as rental yields are high, particularly in the city centres. The Spain Residency Programme is open to applicants of all non-EU nationalities, of or above the age of 18. Eligible dependants include the spouse, children under the age of 18, children over the age of 18 who are dependent on the main applicant due to health reasons, and the parents of the main applicant together with the parents of the spouse. Applicants must have a clean criminal record and certify they have sufficient financial resources to sustain themselves (about 2,130 euros per month plus another 530 euros per family member), and not have been previously refused entry in any of the Schengen countries. Health insurance for the main applicant and any dependents is also required as the permit does not cover free health care or other social benefits. After five years of temporary residence, one may apply for permanent residency in Spain. On the other hand, eligibility for a Spanish citizenship and passport through naturalisation calls for permanent residency over a ten-year period. After gaining permanent residency or citizenship, the investment can be discarded as no further renewals of the golden visa are required. The minimum investment required for the Spanish Residency Programme is that of €500,000 in real estate, either commercial or residential, or both. The property can be rented for income and multiple properties can be invested into so as to cohesively constitute the total investment of €500,000. Different applicants can converge their investments into one single property. Any investment exceeding the minimum threshold qualifies the property to be mortgaged, if desired. Other options for the Spain Golden Visa include investing at least €1 million in deposits with a Spanish financial institution or otherwise in shares or stocks in Spanish companies. Applicants may also opt for a minimum investment of €2 million in Spanish public debt. Certain business undertakings can also qualify as sufficient investment for Spain Residency under the conditions that they have substantial influence in a region by promoting scientific or technological innovation, generating employment or having any other notable socio-economic impact. Our advisors can provide you with personalised advice regarding any one of the citizenship by investment programmes listed above.